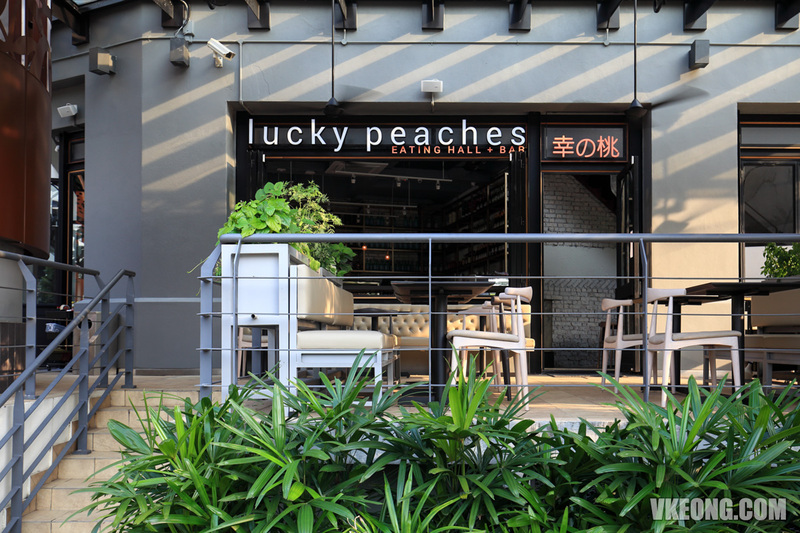 Lucky Peaches is a newly opened casual restaurant in Plaza Arkadia, Desa Park City. 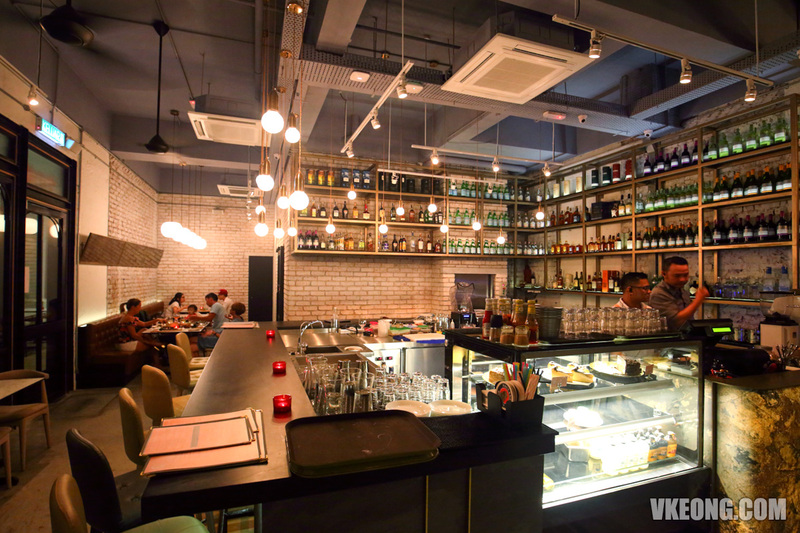 Their menu features both tried and tested and contemporary dishes that are prepared with an Asian twist. 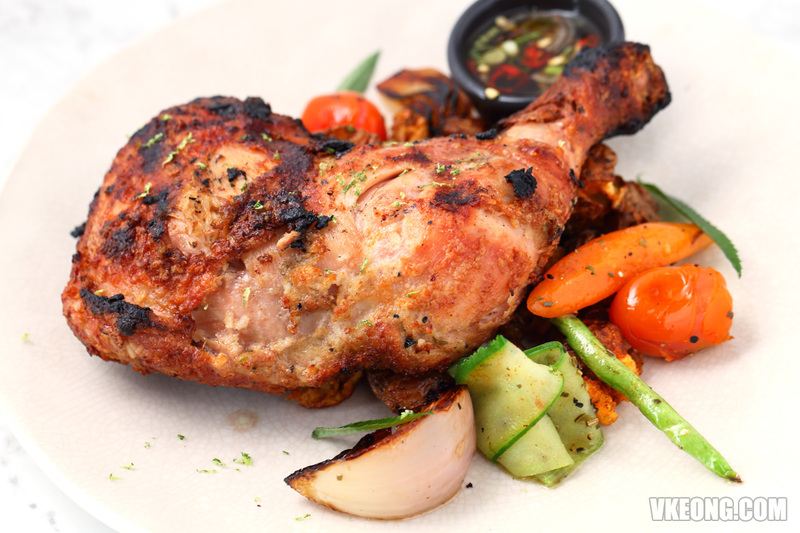 Menu prices are reasonable considering the location, larger than usual portion size and quality of ingredients used. 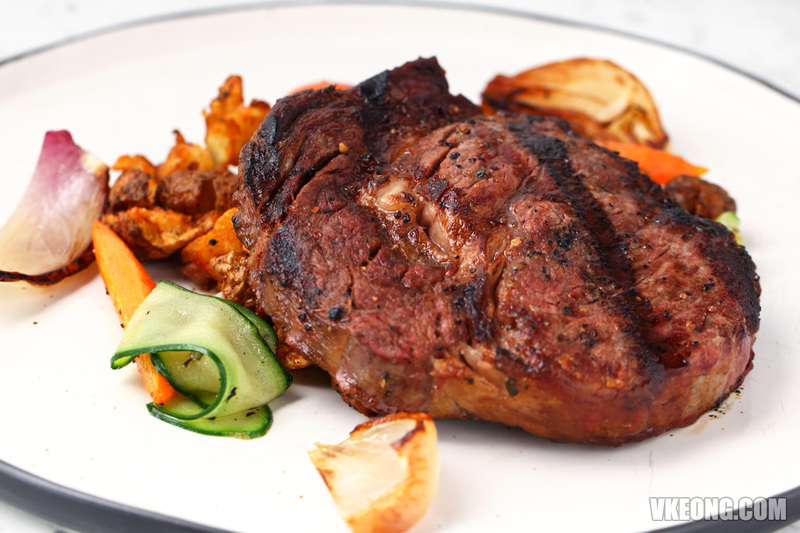 The restaurant’s forte lies in its dishes masterfully cooked in a modern charcoal grill-oven fed with woodchips which give them a great smokehouse flavor. 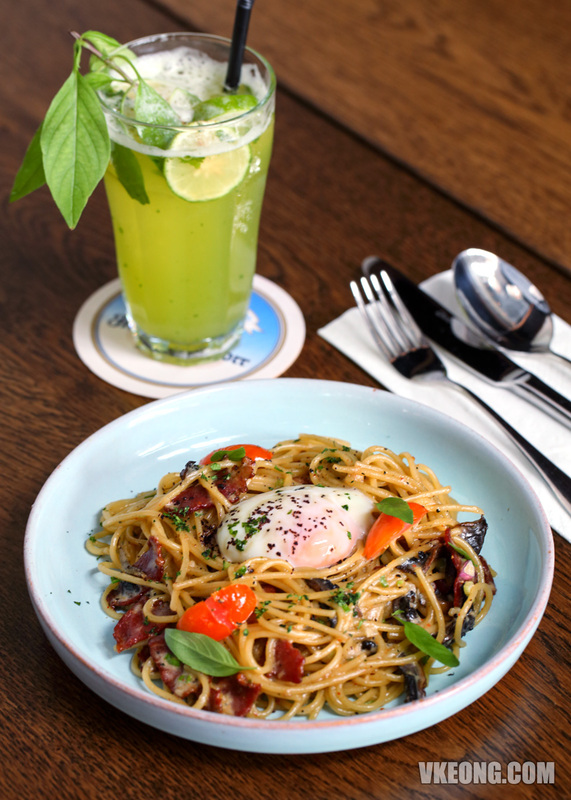 But of course, the menu also offers the usual pasta, pizza, vegetarian and other fare good for sharing. 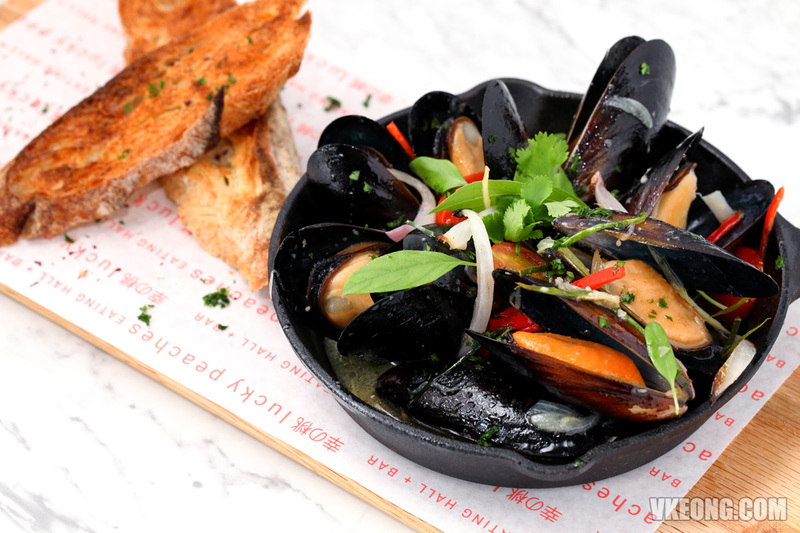 For starters, we highly recommend the Taiwanese Wok Black Chilean Mussels @ RM29.90 stir fried in an irresistible fish broth infused with fresh Thai basil – so good you can drink it on its own. If you are not a fan of mussels, you can opt to swap them for clams at a reduced price. 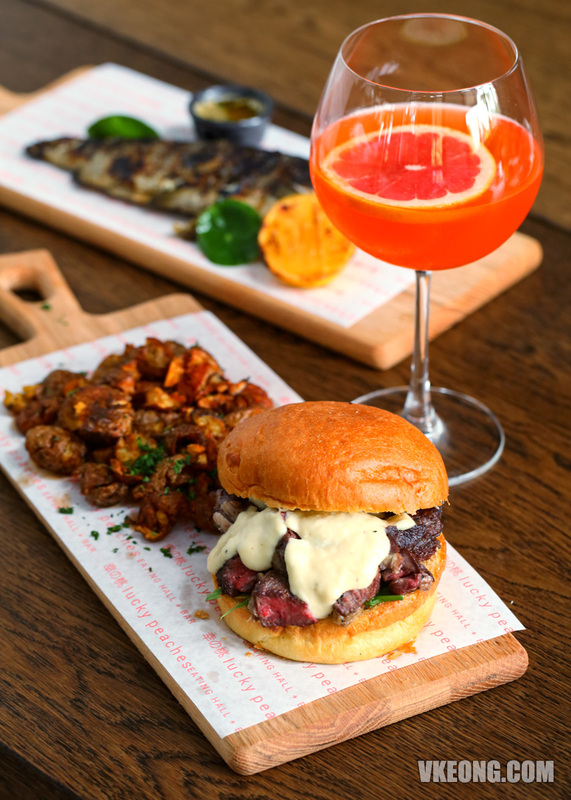 Meat lovers will find plenty of options such as Oven Roasted Whole Leg of Chicken @ RM29.90, Grass-Fed Ribeye @ RM79.90 and Sliced Ribeye Brioche Burger @ RM39.90. 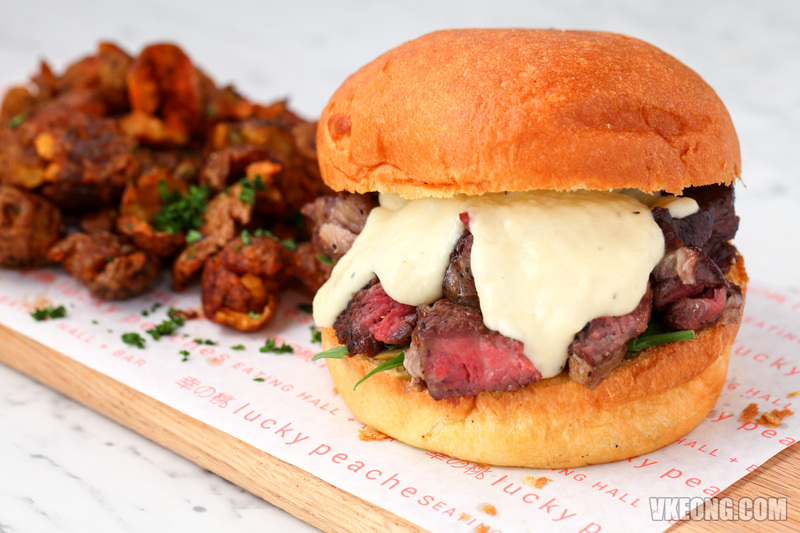 The burger is full of satisfying chunks of tender medium-rare ribeye, cooked to order topped with a creamy, mildly onion-flavored soubise sauce. 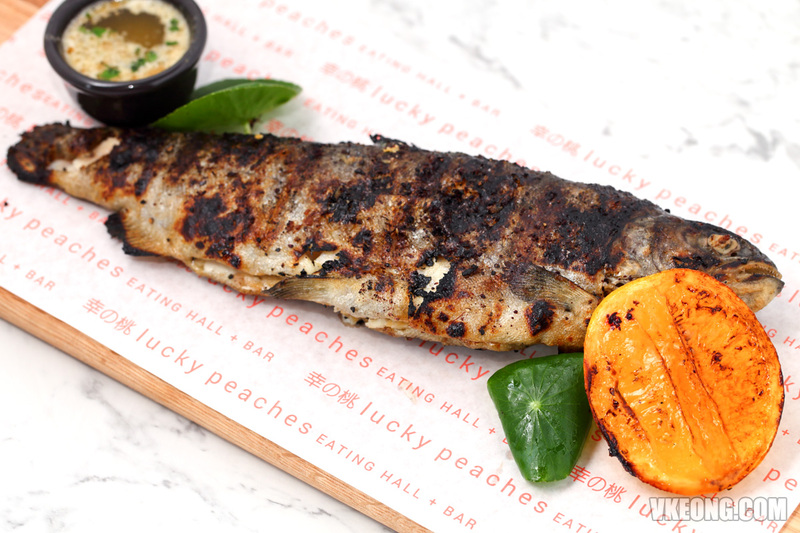 The Rainbow Trout is an extraordinary fish (ask for availability first) that’s not commonly available in KL, so it’s definitely worth a try. 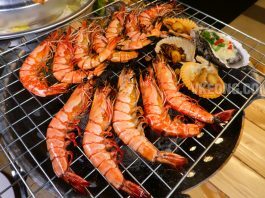 Air-flown chilled for maximum freshness, it’s simply grilled and served with clarified butter to complement the fish’s flaky, delicate and slightly nutty flavor. 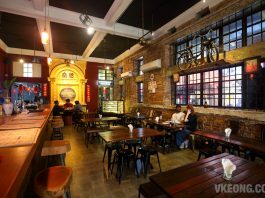 It’s also worth mentioning that the breads used at Lucky Peaches are supplied by Huckleberry, a reputable bakery-restaurant in Bukit Damansara. Same goes for the cakes too, so you will find deliciously decadent cake options here with some being gluten free. 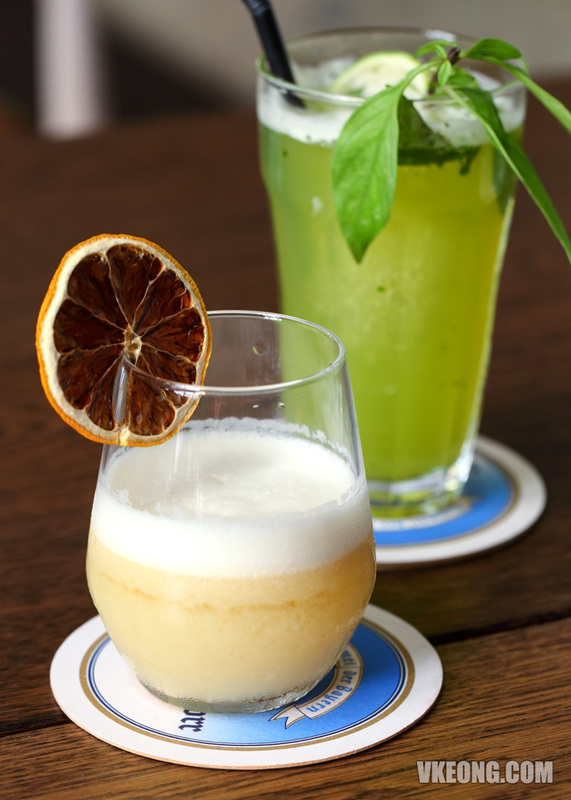 Handcrafted cocktails are also available for food pairing. B-G-8, Plaza Arkadia, Desa ParkCity, Kuala Lumpur.